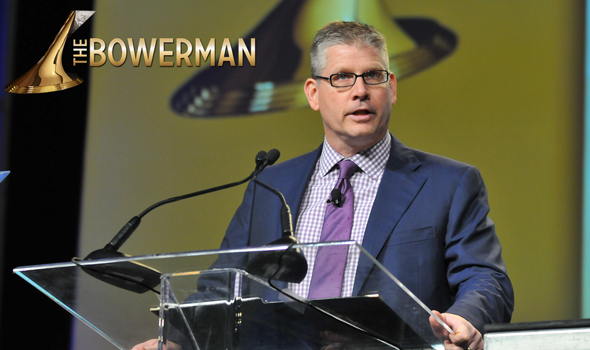 NEW ORLEANS — For the fifth time in the last seven years, the U.S. Track & Field and Cross Country Coaches Association is pleased to announce John Anderson of ESPN as this year’s host for the presentation of The Bowerman Award. Anderson, a fan-favorite ESPN personality, will be back emceeing The Bowerman for the second year in a row on December 16 at 7pm ET at the JW Marriott Orlando Grande Lakes in Orlando, Florida. Fans can watch the presentation of The Bowerman – collegiate track & field’s highest individual honor – live exclusively here: http://bit.ly/2dWRhwP on FloTrack, free of charge. "We are thrilled to once again welcome John Anderson back to host the 2016 edition of The Bowerman," USTFCCCA CEO Sam Seemes said. "John’s quick wit and charisma as the host of four previous Bowerman shows is outshined only by his commitment to the sport of track & field, and we are grateful to have a host of his caliber back on board." Anderson, who competed in track & field at the University of Missouri, recently covered NCAA Track & Field and the New York City Marathon in addition to his duties as a regular SportsCenter anchor. He will be joined once again by sideline reporters Ryan Fenton of FloTrack and former The Bowerman winner Queen Harrison. The pair will additionally host the pre-ceremony Red Carpet Show starting at 6:30pm ET, which will also be carried live on FloTrack. Throughout the evening, Anderson, Fenton and Harrison will meet and greet with each of this year’s three male and three female Finalists and their coaches, before one male and one female will ultimately be awarded collegiate track & field’s highest individual honor. This year’s finalists are Donavan Brazier of Texas A&M, Oregon’s Edward Cheserek and Arkansas’ Jarrion Lawson for the men, and Texas’ Courtney Okolo, Georgia’s Keturah Orji and Mississippi’s Raven Saunders for the women. What’s In The Number 14 For The Bowerman Award?